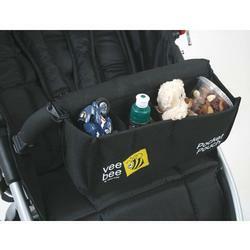 Attach this Pocket Pouch Snack Pack to virtually any stroller front bumper bar or parent handlebar to provide easy access pockets for your childs snacks. Includes multiple pockets for snacks, drinks and little knickknacks found along the way. Comptaible with most Single and Twin Strollers on the market.